!!! !Price Reduced!!!! 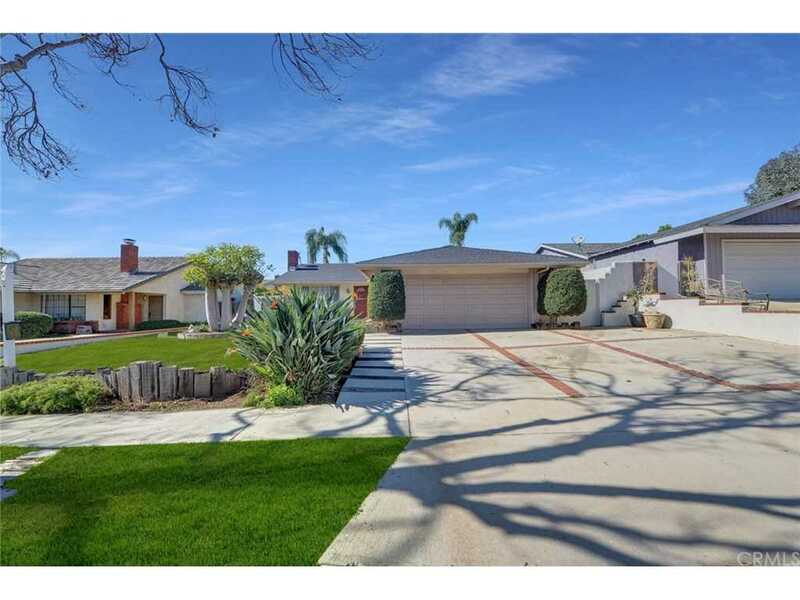 Welcome to 5351 Redwood Drive located in the highly desirable city of Yorba Linda. A single story 3-bedroom, 2 bath home with 1,944 sq. ft. of Living Space. Large private Lot of 7,200 sq. ft. As you walk into the front living room it features cherry laminate floors, fresh paint with a romantic fireplace for all those intimate conversations, this room leads to the open remodeled kitchen with stainless steel appliances and real wood cabinets with lots of storage and counter tops and a charming bay window, great for entertaining. The Family Room with has open wood beam ceiling and new carpet and a River Rock fireplace. It will make you feel like your on vacation. The Master bedroom has new carpet, 2 separate closets with a master bathroom and custom vanity and skylights for that natural light and it also has direct access from the back yard with your own private pergola. Comes with a large 220v 6-8 person Jacuzzi and a Gazebo. Plenty of mature plants and trees surround this house and offers lots of privacy. The property has a 2-Car Garage but part of one of the back bedrooms has been extended into the garage. Huge 3 Car Parking in Driveway. It has copper piping and a water softener and sprinklers. 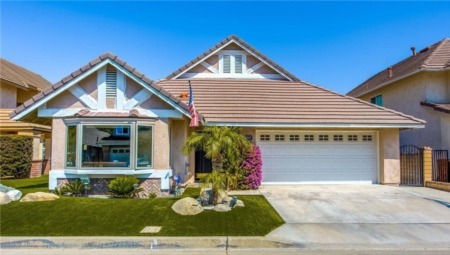 No HOA Dues - Award-Winning Placentia-Yorba Linda School District - Great Location Close to Parque De Los Vaqueros Park, Van Buren Elementary, Shopping, Restaurants, Banks, Alta Vista Golf Course & Easy Access to the 91 & 57 Freeways. SchoolsClick map icons below to view information for schools near 5351 Redwood Street Yorba Linda, CA 92886. Listing provided courtesy of Rochelle Guerra, Tng Real Estate Consultants.